Kindness can do more than evoke sweet, warm fuzzies. In fact, kindness is a powerful tool that is capable of majorly transformative work. The best part about it? It's free and available to everyone. 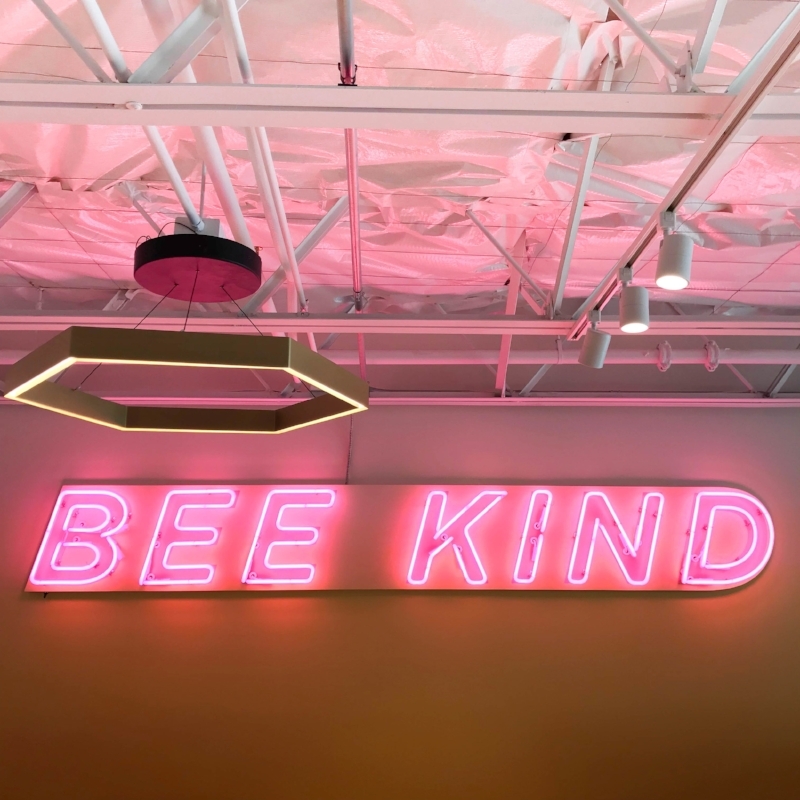 If you’ve followed Bumble for any amount of time, you’ll know kindness is central to our identity and all of the products we create. We not only do want everyone to act kindly on the platform, we want doing so to be a habit that extends offline — way offline. We hope to encourage everyone to take kindness to the grocery store, to work, to the dinner table, and most importantly, to your inner dialogue. If you aren’t kind to yourself, how can you be expected to treat others with the same amount of concern? In honor of World Kindness Day, here are 5 easy ways to incorporate more kindness into your daily (or even monthly, we understand that everyone's gotta start somewhere) routine. We know how this feels, all too well: You step out of bed and within 30 minutes tasks, to-do’s, and texts are flying at you like a game of Space Invaders. You hardly have time to pour a cup of coffee, much less find something you’re grateful for. So let us take some pressure off. You don’t have to be grateful for something grandiose. Instead, reflect upon something as simple as the mere ability to breathe, or the fact that your dog didn’t wake you up early to go outside, or even for the fun (or steamy) dream you had. Keep it simple, and start your day with that tone. You’ll be much more likely to send the good vibes forward if you take a moment to reflect on your own good fortune. There are so many ways to nurture your physical self (and, in turn, your mental self), and you don’t have to go on a detox or sign up for a marathon. Instead, commit to a few moments of gentle movement. Try eating vegetarian for a day (hey, that’s kind to animals, too), be mindful of drinking enough water, or shower yourself with some affirmations. Surely you can find one thing you like about yourself. Handing out heartfelt compliments will soon become second nature. Taking a moment to step outside yourself and be present for another human being is as kind as it gets. We often ask, “How are you?” to be cordial, but we don’t always have the intention of hearing the response. Give a few minutes over to someone else to check in with how they really, truly are and everyone benefits. Now, this can be as small scale or large scale as you’d like — it really depends on your bandwidth. You can help someone carry a coffee or you can offer to help someone move our of their house next weekend. Either way, people will generally be surprised and warmed by your effort to help them carry the load — literally or figuratively. Even if they don't take you up on it, the act of asking is often profound enough. We consider paying it forward to be any gesture where we take the gifts that we’re given and put them back out into the world. While it doesn’t have to involve a monetary exchange, consider paying the toll for the car behind you, leaving an extra $5 with the barista to cover the next lucky customer, or even being so kind as to call someone back in a timely manner. Kindness begets kindness, and there can never be too much.